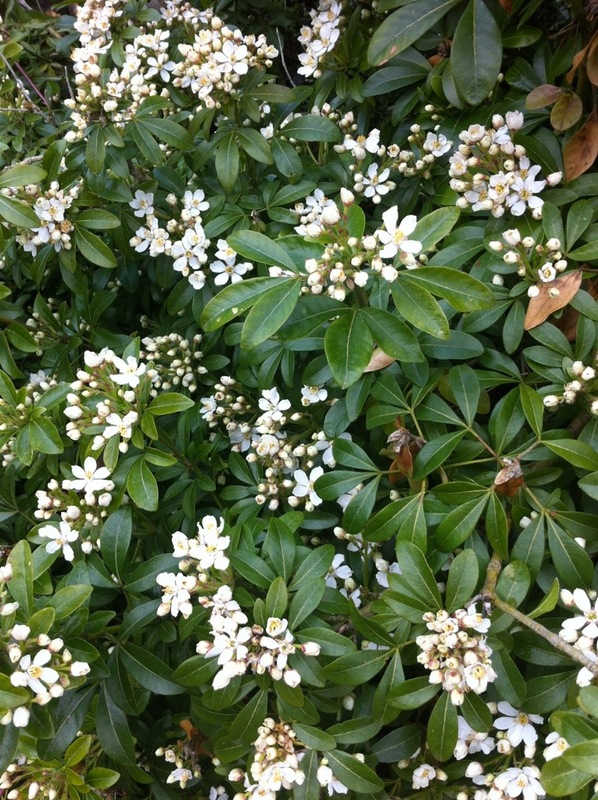 Choisya ternata, an evergreen shrub with fragrant spring flowers, what’s not to like? Actually, the foliage has a pungent odor, which I find invigorating, but others are turned off by it. 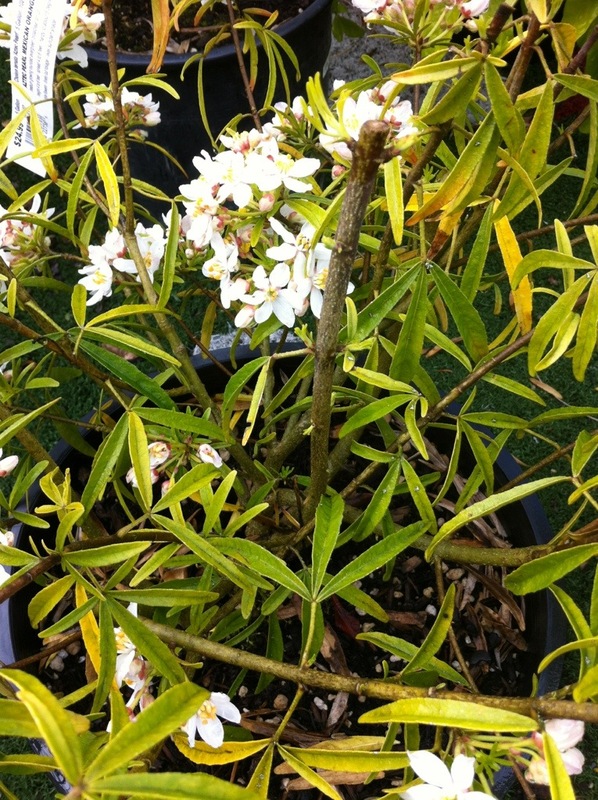 I knew someone who decided to buy this plant, but after purchasing it and putting it in their car, the scent was so unappealing to them in the enclosed space that they promptly returned their Choisya! I was shocked, but to each their own. What first attracted me to this plant however wasn’t the scent. It wasn’t the flower. It wasn’t the evergreen part. Not the size, or the shape, or the name. I love the color. It’s green! But it’s greener than green. Glowing green, deep green, bright green, living green. It’s hard to see in the photos here, you have to get out and stare intently at Choisya in the ‘wild’. A green to celebrate. Lustrous. Not faded or hairy, but with a bit of a gloss. Leaf gloss. Orange scented. The name is interesting too. Choisya is named after Jacques Denis Choisy (1799-1859) a Swiss botanist. Ternata refers to the three leaflets and this plant is native to Mexico. 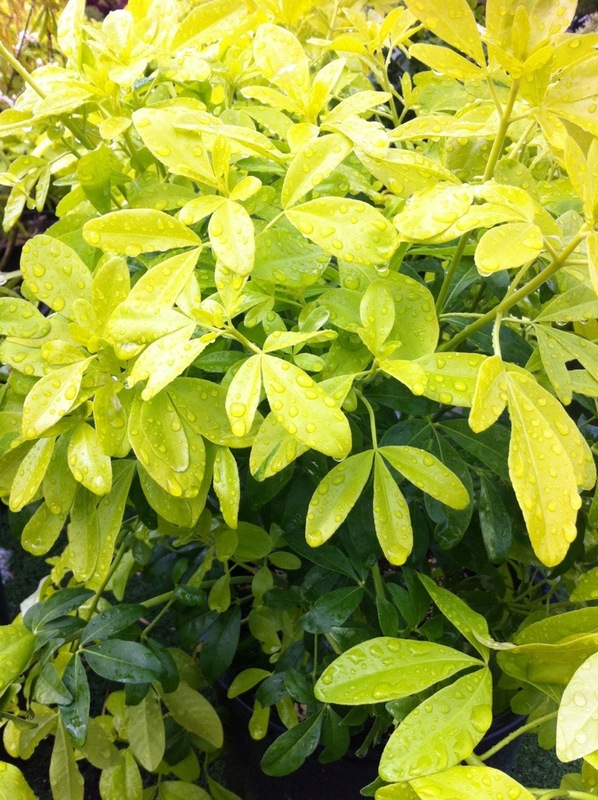 ‘Sundance’ is a variety with bright yellow new growth, slowly fading to green. ‘Aztec Pearl’ is a compact hybrid with narrow leaves and white flowers opening from pink buds. 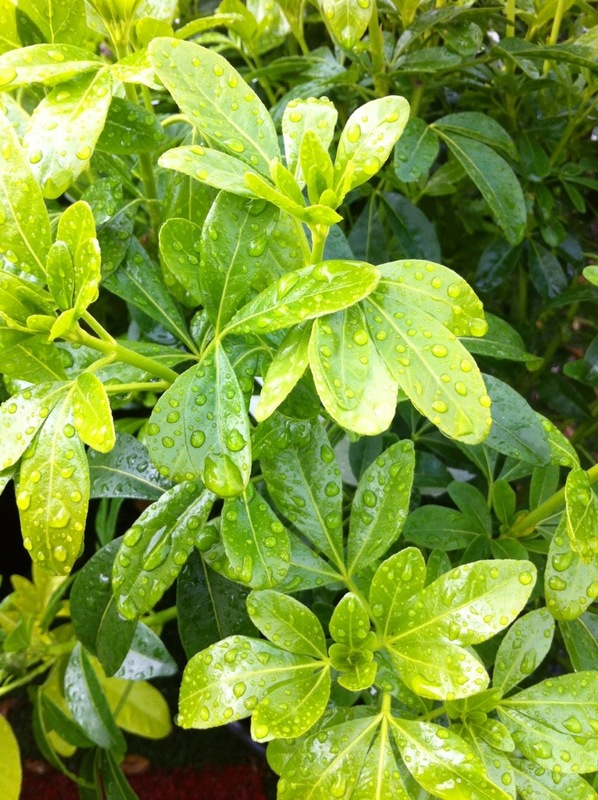 Choisya grows rapidly and makes a good privacy hedge. However, I have seen this plant suffer from winter damage if temperatures dip too low. Fortunately, it grows back quickly and can be pruned back severely if necessary. Very pretty! The leaves remind me of laurel, or rhododendron – great evergreens too. 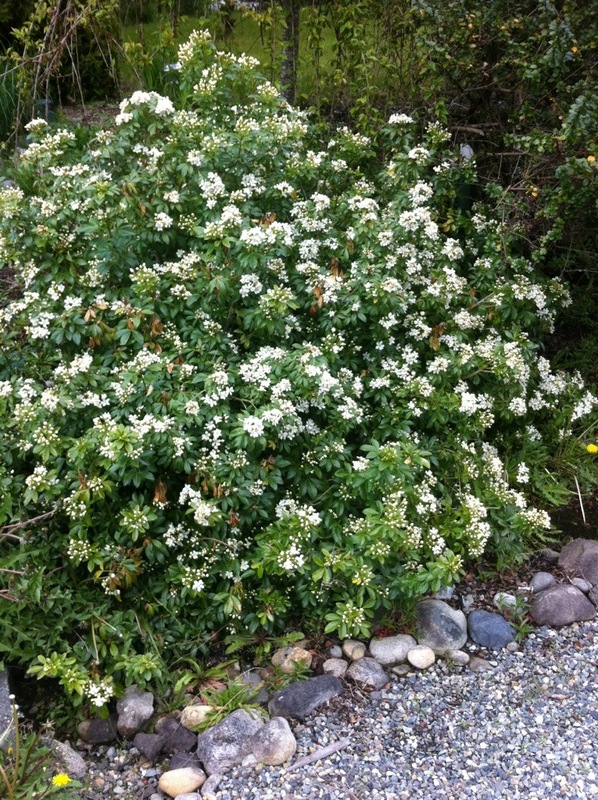 What an interesting shrub so strong in leaf and just covered in beautiful flowers. They are tucked in with the rhododendrons around here. Unfortunately many people shear them with a flat top or straight edges and they look better with their natural rounded shape.